The conclusion of Father’s Shield. Go back to Chapter 7 or check out the main page for the story here. 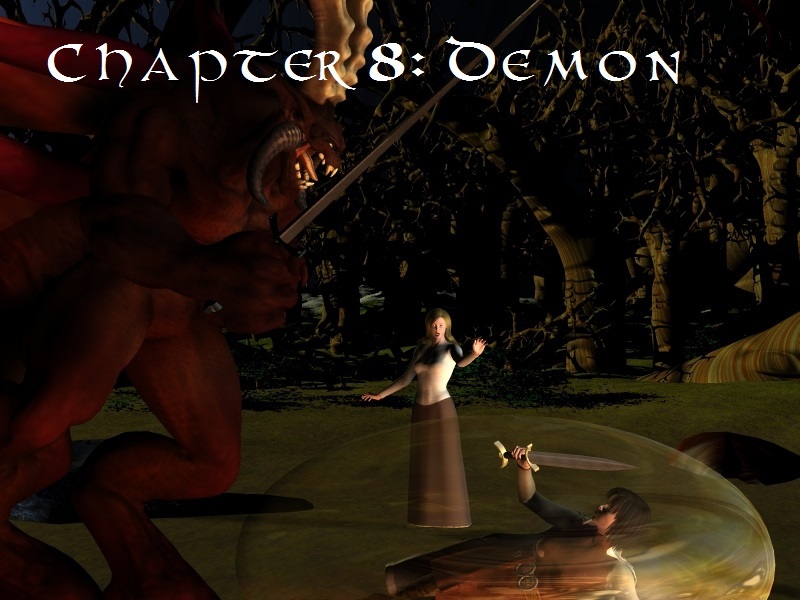 Her words dried up as the demon suddenly swung its head in their direction. It took one thudding step towards them and slashed with its flail. Korina held up her shield to take the blow and was hurled off her feet up against the trunk of a nearby tree. She collapsed at its base with a groan.